Published on Saturday, April 9, 2016. 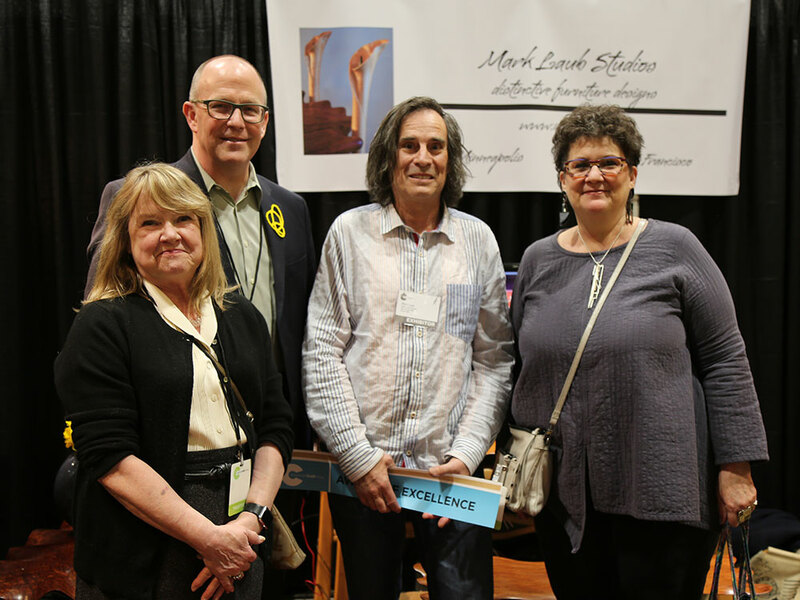 At the St. Paul RiverCentre this weekend we hosted more than 230 artists for the American Craft Show in St. Paul. Five of them were honored with awards on Friday. 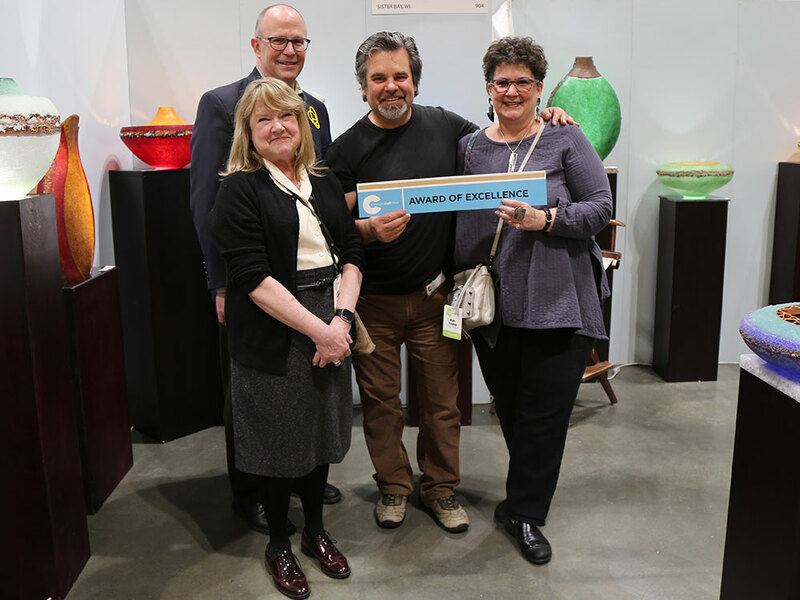 Winning ACC Awards of Excellence were glass artist Keith Clayton (booth 904), who fascinated all of us with the description of his process that goes back to ancient Egypt; furniture designer and woodworker Mark Laub (booth 501) with his gorgeously elegant cabinets; and fiber artist Gloria McRoberts (booth 1109), lauded for her luscious fiber sculptures made with completely natural fibers from sheep, goats, and alpacas. 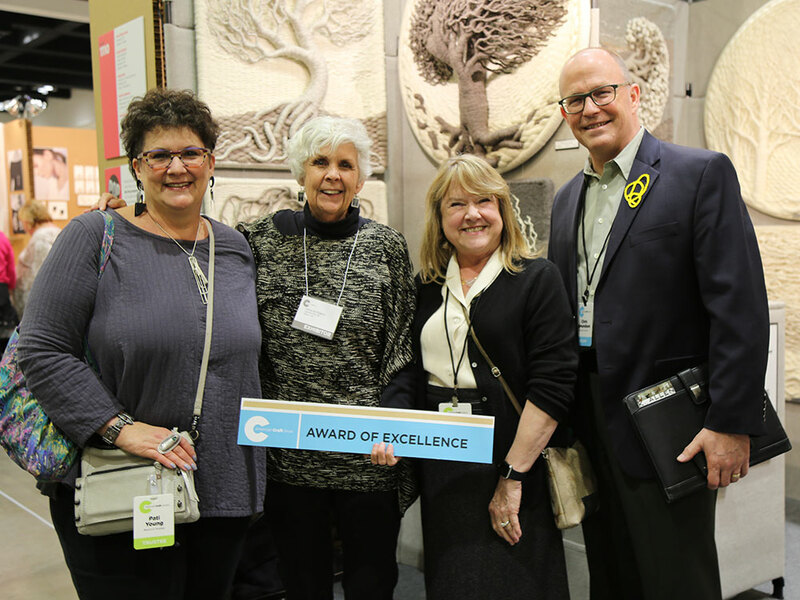 Winning the ACC Award of Excellence for booth design, which recognizes not only excellent work but also strong display, was James Carlin (booth 1121). His booth, defined almost entirely by the most magical and beautifully crafted wood children’s fort, begs for you to enter and play. 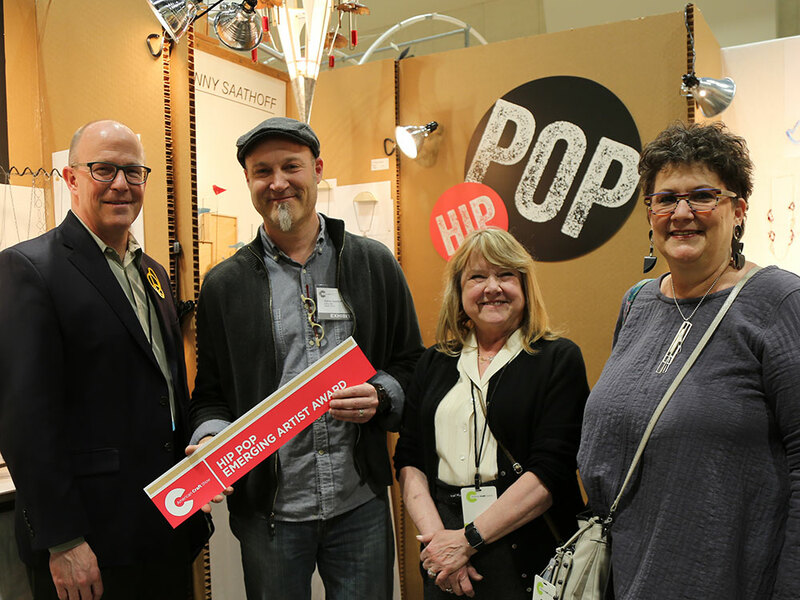 Jeweler and sculptor Danny Saathoff, cited for his “innovative use of found materials and seamless designs,” won the Award of Excellence given each year to an emerging artist in ACC’s Hip Pop program. Congratulations to all our award recipients in St. Paul! Find tickets and info for the St. Paul show. 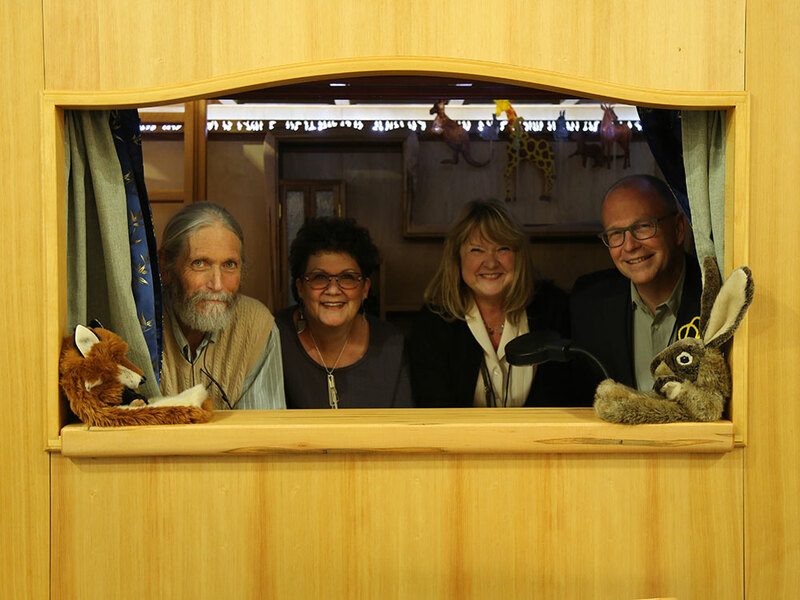 Artist James Carlin, trustee Pati Young, trustee Kay Savik, and executive director Chris Amundsen inside of Carlin's Kinder Realm play environment for children.